Yep, Fuzzy...Had to have them. I took the pencils and wrapped some Chalk Tape around them. thru my Xyron sticker maker. I got from Annie's Paper Boutique HERE. in the clear box at the bottom as filler. "A Holiday to Remember" You can get that HERE. 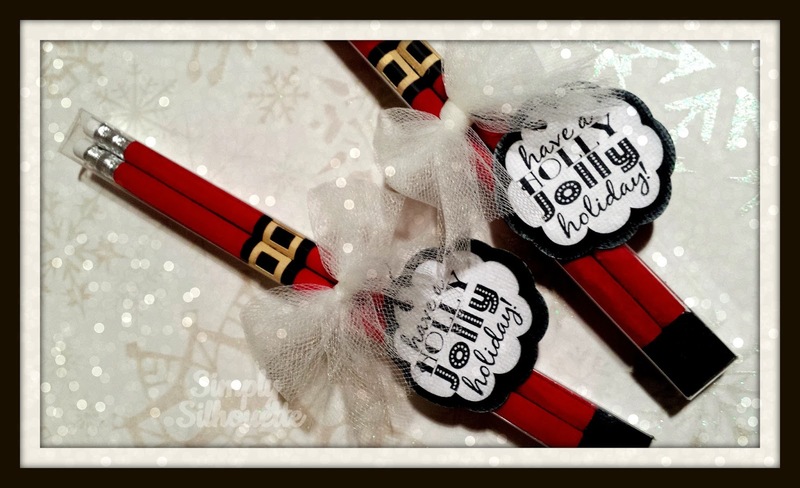 think of my Santa Pencil Sets. Super cute the way you dress these up! Love the idea:) TFS! What a sweet little treat, Julie! Just love these!! I sooo LOVE these. I'm going to have to make some. You did awesome. 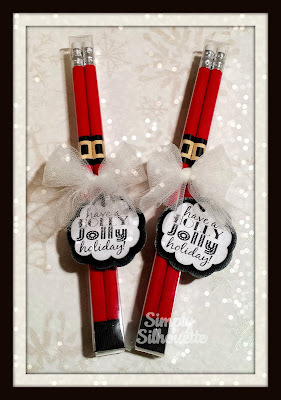 I have never seen fuzzy pencils What a clever idea !! Wow Julie another adorable project!